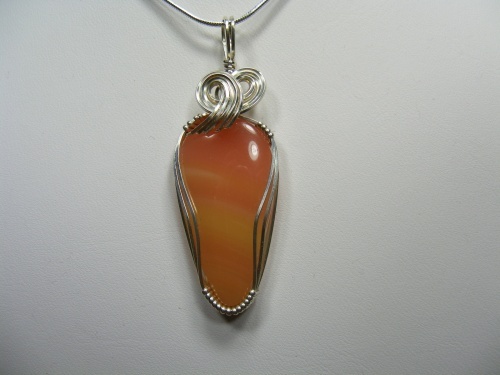 This gorgeous peach tone gemstone is truly one of a kind. Comes from Scandinavia and is very rarely found in these peachy tones. Sculpted in sterling silver curls to make it even more dramatic and unique, piece measures 2" by 5/8" and comes with a sterling silver snake chain.